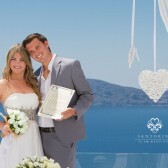 That is when Isabella and Randal began with the assistance of Julia and Evita to create their dream wedding in Santorini. 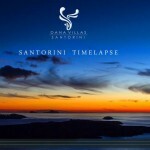 In a few months the time came for the couple’s special day and Randal & Isabella arrived in Santorini to realize that the views and scenery was even more breathtaking than they could have ever dreamed of. 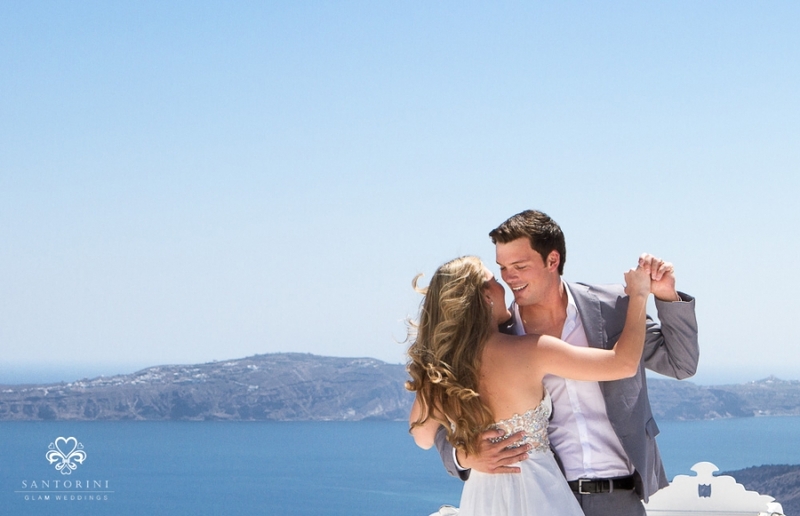 On the beautiful afternoon of May 22nd the beautiful couple was united in view of the breathtaking Santorini scenery by registrar Mr. John Kavallaris of the Thira town hall. “When we decided to get married, we just had the idea to do something really different, that would make this day even more special and unforgettable for us. 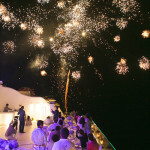 However, have our ceremony in Santorini seemed to us something a bit exaggerated, just something like a beautiful dream. But this perception totally changed when we sent an email to Santorini Glam Weddings, which was answered in less than 5 minutes by the person who would become a great friend to us… Julia. Less than six months have passed since the first e-mail and she helped us in all the choices and possibilities, making our marriage became absolutely perfect. Julia was totally lovely and interested in our history from first contact, making our dream wedding became a reality on May 22, 2014, in the beautiful Dana Villas Hotel terrace, with the most beautiful view I’ve ever seen in all my life. Wishing you love… love in the joys of your wedding day, love in your marriage, each step of the way… love in the big things and love in the small, love in all life brings – and love above all.